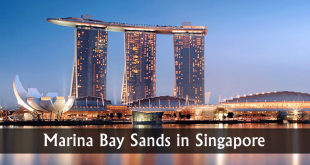 Singapore is a beautiful tourism place with many cynosure that attracts millions of visitors every year. 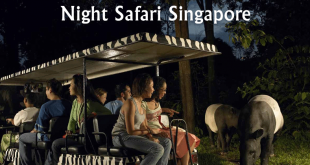 Amazing theme parks, beaches, restaurants and adventurous activities are to be enjoyed at Singapore. Beside this it has many Bar & pubs available here for you to give you full enjoyment even at night with wide variety of cocktails, beers, snacks and fine dining. Here is a list of bars in Singapore for drinking and enjoying live performances as well. 1. The Cufflink club: The Cufflink club is located near Chinatown has a mouth-feel detracting Gin based cocktails, features white chapel surprise frozen into cube of ice. Surprising cocktails has a genius level combination of liquor, watermelon, lemon and lime is barely redeemed by the straddling glass. It has tempered perfection by fig jam, citrus, honey and egg white. The interior of the bar reveals bar space with decor of dark timber, bar stools and also banquettes. Drinks are well made by the talented team at the bar. Bar remains closed on Sunday. 2. The library :- “The Library” is a bar & pub where visitors require a password to get entered. Only after getting this secret code they can access to the bar then they will be greeted there with a robust cocktail menu. It is easy to go to this bustling secret bar by simply generating a password. Tell your secret code with the bar custodians to be entered for a magical entrance with cocktails. Bar’s staff is able to assist you with up to date information with secret code and satiate alcoholic appetites and delicious food. Bar is located near China Town for can be commuted easily. Bar remains close on Saturday and Sunday. 3. Jigger and Pony :- Amoy street is known as the king of classic cocktails, vintage and Signatures offers fresh cocktails that embraces the tradition of cocktail culture where services with the atmosphere of welcoming charm and relaxed enjoyment. Savour the delicious dishes with fresh cream at shareable bites with drinks. Visitors are recommended for a reservation – especially on weekends. Here you will also be served all ingredients including aroma of different spices as all the ingredients are hand-made served which includes ice and specific cube size. At pub also crowd can be seen during night time. Bar remains close on Sunday. 4. 28 Hong Kong Street :- One of the top drinking spot in Singapore, is a sleek and refined space with a black marble bar and inviting booths for cocktails that really light fires. Complex drinks include Tai-Tai Tipple and the Modest Mule, aromatic blend of vodka and ginger beer. The food offerings are also well worth with smooth table services. The jazz and rock soundtrack completes and all the elements of the whole bar experience, making it a great place to enjoy. A humming New York Style Bar with a deliberately lacking shop, named as best bars in Asia includes savour sandwiches with cheese specially truffle mac and cheesy balls. 5. Bitter and Love :- Bitter & Love located at Telok Ayer Street is a place for classical Singaporean sips and the special cocktails in Singapore. Enjoy the flavors of Singapore with a buzzing atmosphere where the experienced team with cocktails to specific tastes providing best services as bartenders are specialist in creating well balanced combinations of local flavors. A list of snacks such as sea salt flakes, pan seared, seasonal live oysters and many more. Cocktails and snacks at one of the best bar in Singapore which essentially allowing you to taste something delicious. 6. Operation Dagger :- Operation Dagger bar is a unique cocktail bar, designed beautifully that looks like lifted from your fascinating friend’s feed. Underground secret bar is an addition of the night life scene. Located at Ann Siang Road with striking interior, clean and sleek furniture made up of thousands overhanging bulbs which look like an electrical storm. It offers different flavours of cocktails with a mix taste of red and green apples was very strong that felt extremely light characteristics are at the end. Sunday & Monday will be closed. 7. The Secret Mermaid :- The bar is located in the heart of Singapore’s business district, like a tasting room and cocktail bar is an importer of American craft spirits in Singapore. It focuses on the special classical drinks Blueberry Mojito, salted caramel & bar’s current hot seller. A liquor retail store with casual Japanese eateries and drinks like gin whiskey, vodka & rum. The Secret Mermaid is in the right in the heart of the Raffles Place has impressive collection of over 45 spirits bottles certainly compensated. Offering a small number of mixes, makes you to lose yourself while enjoying at the bar. A sitting bar counter in an MRT walkway by one of the busiest walking thoroughfare. 8. The Spiffy Dapper :- Located at Amoy Street “The Spiffy Dapper” bar has wide variety of handcrafted cocktails. The Spiffy Dapper combines the basics of cocktail making with brilliant sense of humor. The bar opens daily is an impressive array of liquor lines. Latest addition of menu includes dishes and main course. Can also order classic cocktail and many other drinks according to your taste. Experienced staff at the bar is there for you to provide refreshing drinks with herbal base. Gin based cocktail and something new at each your visit. 9. Izy :- Izy bar Singapore takes popular Japanese style of food and drink by putting a bit of spin on it. Located at the Club street the bar is a redefining traditional Japanese cuisines, designs, savour intricate , fun small plates and electric drink menu. The Izy is more of a restaurant that offers cocktails and dinner to enjoy your night in Singapore. A great way to experienced great food with a choice of music makes your night so wonderful. Restaurants 24 seats are at the kitchen counter, allowing for a close up view of the food preparation and best price rates for each food. 10. Kinki Rooftop Bar :- Kinki rooftop bar is another bar to enjoy traditional Japanese food, drinks, inspired cocktails & shakes. The bar is situated on the top of custom House with a spectacular view of Marina Bay Sands. The open air bar has a little less than half the drinks menu is Japanese, with refreshing glass of vodka with fresh lemon and Japanese cucumber. An open air rooftop deck and bar tunes gives a spectacular 360° view. It is an urban edge of Japanese dining, bar venue and a two level space with old customs consists a dining space of seating capacity of around 60 guests. Friday night performances make it a popular spot for the drinkers. Weekend night features all different theme light is used to add some spice to it. 12. Lantern :- A chance to view stunning structure which gives another opportunity to enjoy your drink at a super rooftop bar pool with themed nights that gives you the panoramic views of the city. The bar is located at the Fullerton Bay Hotel, is a stylish combination of outdoor bars and swimming pool, surrounded by tropical greenery. The bar offers a fine selection of cocktails, beverages, champagnes and snacks. 13. Lucha Loco :- Lucha Loco is a bar at Duxton Hill serving authentic Mexican food and beers. High quality cocktails, mojitos & delicious meal served with a blend of herbs and chopped spring onions. Savour quality of Chicken and fine services at the bar by the experienced team members. A sleek and furnished restaurant seems to be overplaying its theme. 14. B28 :- Located at Ann Siang Road, B28 is one of the favourite whiskey dedicated spot for you with more over 100 kinds of Scottish malts, cigar collection, and wide range of whiskey, rum. The bar has distinguished services and more expensive prices provides inspiration and every week live jazz performances. It has notable selection of strength bottling with moreover 30 rums from all different region and cocktails presented by most premium ingredients. The bar remains closed on Sunday. 15. Smoke and Mirrors :- Smoke and Mirror is located on the top of National Gallery, with a stunning sculpture bar, the dynamic space for indoor and outdoor dining seamlessly. As the drinks are very tasty that changes your mood and gives you full fun. It welcomes you to bewitch your senses for entertainment and taste delicious dishes. The bar gives panoramic views of Padang and Marina Bay which is enough to visit. The bar is designed with plenty of woods, copper tones, lighting, and the warm services by the staff. 16. Screening Room :- The screening room is a unique open air roof top bar, spots near Telok Ayer Mart is a famous bar, restaurant and a staircase with movie posters. 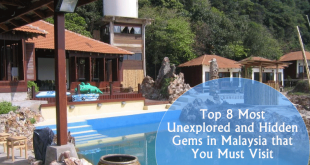 It provides different cocktails, food, film shows for the visitors, is a place of different entertainment venues. The bar is one of the most historical significant of the city that offers amazing views of temples and Club Street. It is easy to commute at the bar as a 10 minutes’ walk from MRT at China town. A great place to dine watch movie and also enjoy cocktails. 17. Drinks & co. :- Drinks & co. bar located at Club Street sells over 400 labels of spirits and wine where it welcomes you to enjoy your drink. It deals with a Pizza place around the corner that offers an extensive wines and spirits. A cosy cafe and bottle shop with huge choice of wine, beers and champagnes with great services. The bar is specialist in high qualities like home-made pasta with seafood, pizzas & platters. A unique experience that allows you to choose your favorite bottles and enjoy the drinks. 18. Oxwell & co. :- The bar, dining room and function room of Oxwell & co. is a great British Pub has been designed in a perfect way. A three story shop-house is a local pub, located at Ann Siang Road contains most of the Singaporean cocktails. Oxwell & co. is a resto bar with outrageous food and swanky cocktails, is a great place for fine dining and enjoying drinks as well. Oxwell’s food is flavoured with a mix of peppers and chilli powder are crispy snacks to enjoy the beer and other Singaporean drinks. 19. The Horse’s Mouth :- The House’s mouth bar is pretty obvious which provides good range of whisky, shakes, beers and cocktails. It’s easy to see it as a favourite spot on orchard road with combination of tasty cocktails with crispy snacks. Draws the inspiration and provides perfect location for friends and colleagues for a get together. A variety of superb cocktails, fresh platters and snacks to meet your expectation. 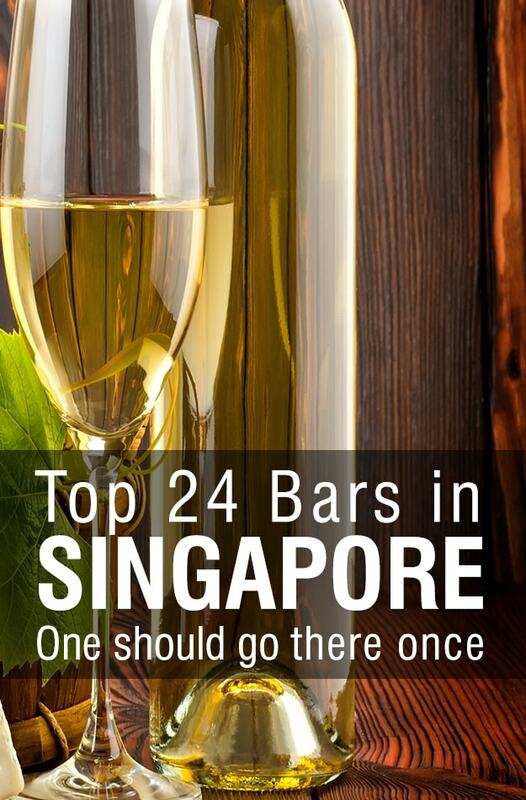 It’s one of the secret bars in Singapore located in Forum shopping mall. 20. Tippling Club:- The Tippling Club is located at Tanjong Pagar Road is a bar and restaurant, approach to dine and drink. Cocktails here sold are with a tiny work of art in a glass. A fine dining at tripling club’s restaurant has cocktail program as equal to its menu, ultra progressive cuisines. It’s a multi course tasting menu includes dishes such as cauliflower cheese, milk, black truffle. With a wide variety of dishes and drinks the bar offers snacks with famous cocktails. A perfect place for enjoying you drink and also main course to dine there. 21. 1 – Altitude :- 1-Altitude is an amazing bar in the world, located at Raffles Place is a high-point for visitors also features a restaurant, club and café. Magnificent spot in Singapore serving different variety of cocktails hosting live band and DJ. Most popular place to view sunset party the night away. 22. Loof :- Loof bar is located at the opposite of the raffles palace, serves quality drinks and fresh food to enjoy carefully crafted selection of south East Asian Cocktails at this Amazing bar. It’s an awesome collection to soak up the infectious beats from events and party nights. It is one of the enduring and popular bars of nightlife Singapore opened in 2005. The rooftop bar across the city’s skyline provides a tree top level view that was convinced as a relaxed and playful bar draws inspiration from the Singaporean culture and lifestyle. 23. Jekyll & Hyde :- Jekyll & Hyde is a restaurant and bar that offers Japanese ingredients with a European flavour. Food and cocktails available for you in different savour. The bar is at the Tras Street, gives a luxurious comfort and treats for relax and chill out experience. If you find something stronger, it allows the ice for melt complex flavour to blossom for a smooth and concoction. 24. Tanjong Beach Club :- Tanjong beach club is located at Santosa, gives opportunity to enjoy the delicious food near the beach area. The club comes with a pool boasting panoramic views of the sand, bar, restaurant and other chill out spaces. The club is at the short distance from the central business district of Singapore, surrounded by tropical rain forest, tall palm trees at the tropical resort Island. Stylish beachfront dining which is the perfect spot for enjoying the seafood with cocktails.